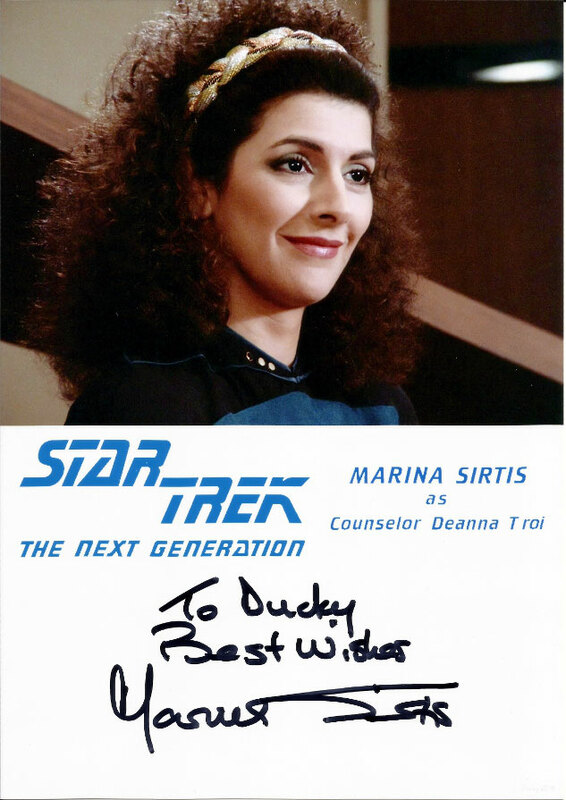 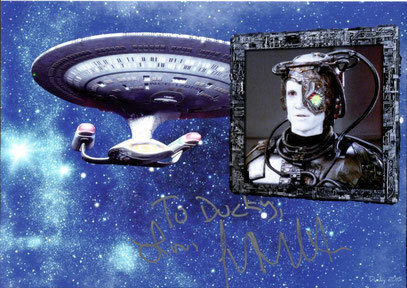 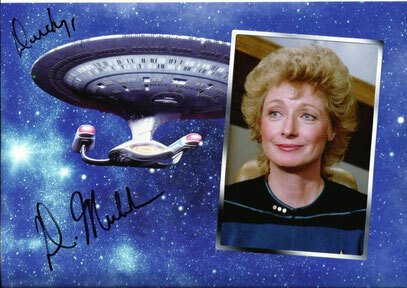 STAR TREK: TNG - duckys-autograph-worlds Webseite! I fetched this autortaph personally at the German Comic Con in Dortmund on April 13th, 2019. 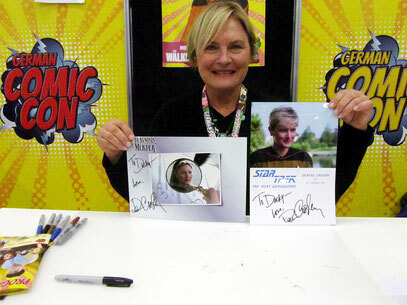 Denise is a really loveable person and we had a nice little talk while shie was signing my templates. 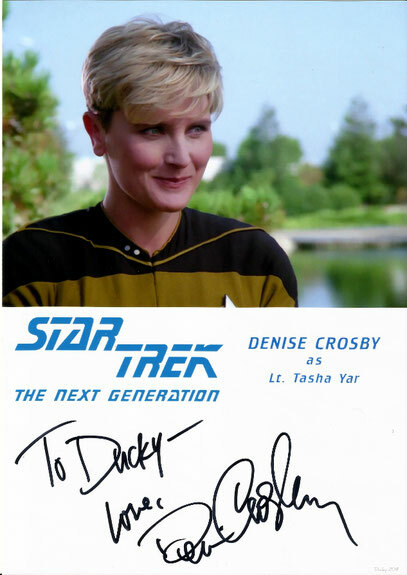 She asked, assuming that Ducky is my nickname, what my real name is and mentined that in NCIS there is character whose nam is Ducky, too. I had to confess, NCIS isn't really my kind of show, but that I will watch it now, 'cause Marina stars in it. 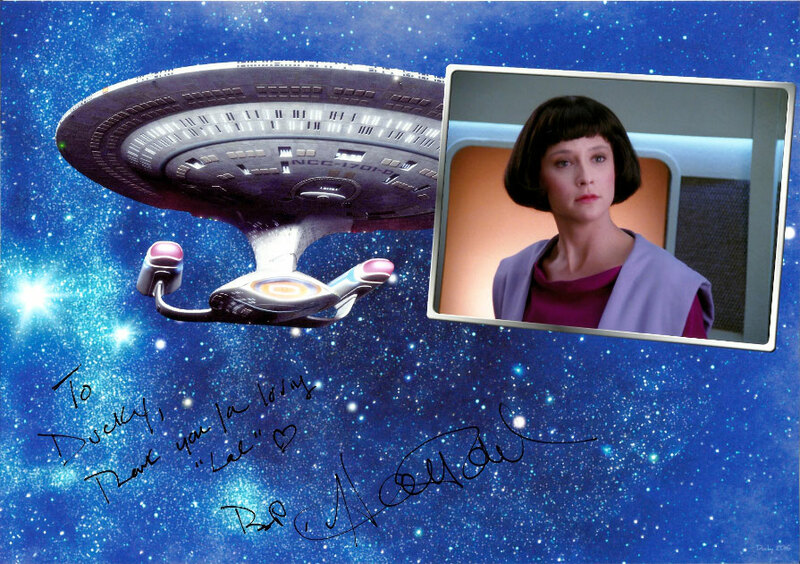 I fetched this autograph personally at the Comic Con Germany in Stuttgart on July 1st, 2018. Tony mentioned how much he like the arrangement of the single elements of the picture, which made me quite happy. 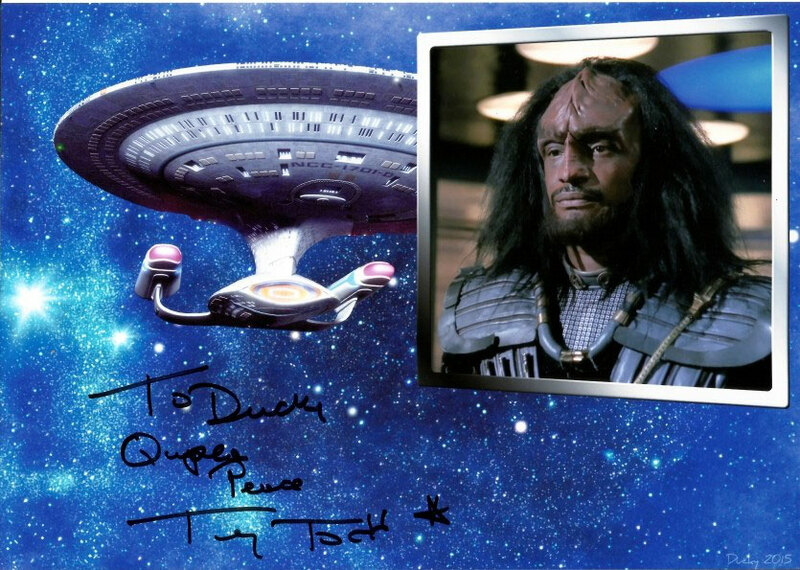 The three of us (Tony, my friend Irina and I) talked also about the upcoming Star Trek series in which he probably will play a role and how enthusiastic the fans of Xena: Warrior Princess are (I also had a xena template for him to sign). When my friend mentioned she just recently became a fan of the show, Tony said "Xena fans are like rabbits". We also talked about the upcoming new Xena show. 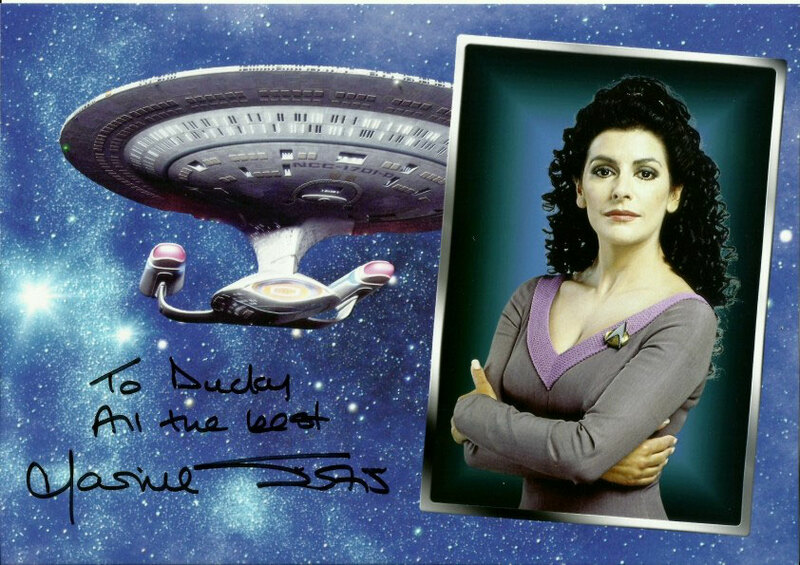 I fetched this autogrph personally at FedCon 25 on May 15th, 2016.